Yesterday saw the release of Android 6.0's factory images and OTA updates for the Nexus family. 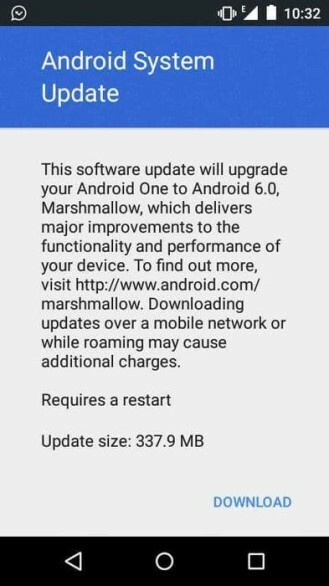 One other group of devices that are supposed to get the update just as quickly (and way before all the OEM smartphones) is Android One phones. And it looks like Google is making good on its promise to update these One devices timely and efficiently. 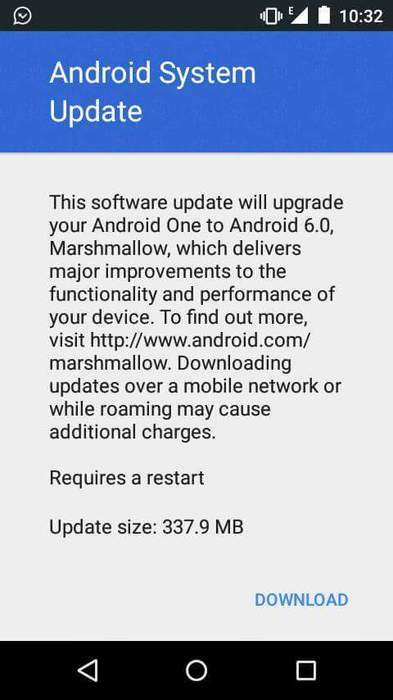 We got word that the OTA update is starting to hit Android One devices in The Philippines and India (Micromax Canvas A1, Spice Dream UNO, Karbon Sparkle V). There are already a few threads on XDA with more details and OTA links (here, here, and here) so you can flash the update to your phone if you're too eager and can't wait for it to hit your device. As for other countries' One devices, we don't have any confirmation yet, but given the fast start to the rollout, they should be getting it soon. Keep mashing that button to check for updates!